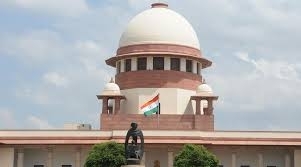 Supreme Court of India has changed its previous verdict in the Dowry Harassment Case under section 498A. The court has cancelled the safeguard for accused family from immediate arrest, now just after filing the dowry harassment case immediate arrest of the victim's husband and her in-laws is possible. The bench of three headed by Chief Justice Deepak Mishra, Justice AM Khanwalkar and Justice DY Chandrachud, passed this decision today. In April, this year Supreme Court had reserved its decision after hearing all the parties. During the hearing, the bench said that there is no need for Family Welfare Committee to settle the complaints. Bench withdraws stay on immediate arrest of accused family and said that it is necessary for the safety of the victim. The court said that the option of advance bail is open for the accused. Earlier in 2017 during the hearing, Bench of two Supreme Court justices had ordered that there should be no immediate arrest of the complaints of dowry harassment and also constitute family welfare committee in every district to look after such cases. And then only on the basis of committee report that arrest-like action is taken. The bench order of two judges was challenged in the Supreme Court.